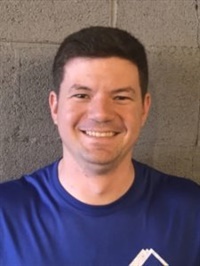 Ben Spotts, DPT, SFMA, FDN, is a skilled Physical Therapist and owner of Apex Physical Therapy and Sports Performance located in Cincinnati, OH, which specializes in out-patient, sports injuries, orthopedic, general rehab, & pre-rehab services. He works with a wide variety of clients, ranging from recreational, D1 and professional athletes to geriatric and general orthopedic patients. Dr. Spotts’ primary clinical specialties include orthopedic assessment and treatment, sports rehabilitation, dry needling, kinesiology taping, Selective Functional Movement Assessment and Sound Assisted Soft Tissue Mobilization. Ben received his Doctorate in Physical Therapy from St. Louis University and spends his non-clinical time as a CrossFit coach.